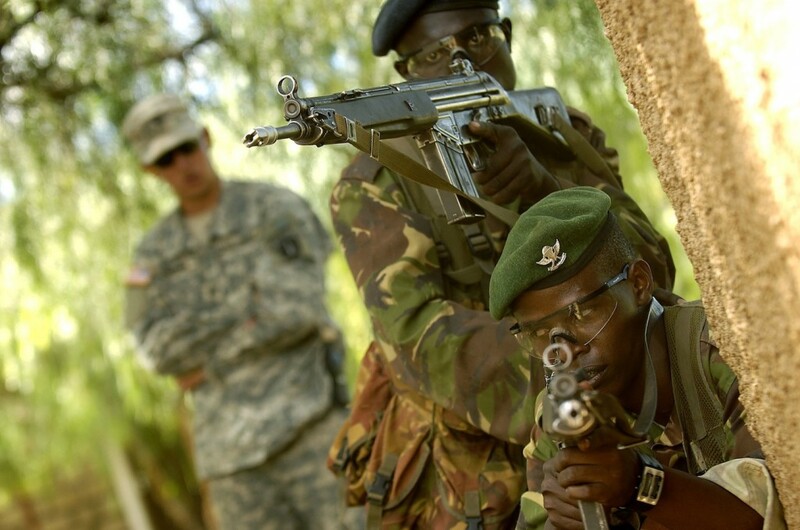 A US National Guard unit is conducting “overseas deployment training” with the Kenya Defence Forces in the latest in a series of US initiatives intended to bolster Kenya’s military resources. The four-month set of exercises begun in December by the Massachusetts branch of the National Guard at Thika Barracks coincides with the recent announcement of a pending $418 million sale of US military aircraft to the KDF. That transaction in turn follows a US donation last year of six helicopters valued at $106 million for the KDF’s use in operations against al-Shabaab in Somalia. These moves point to a deepening US commitment to assisting Kenya’s efforts to enhance its security by diminishing the threat posed by al-Shabaab. The sales, donations and training moves were all set in motion under the Obama administration. In the current Thika Barracks exercises, members of the KDF Engineer Brigade are being trained in “site development, vehicle preventive maintenance checks and services, site clearing, grading, road improvement, foundation work and debris removal,” according to the US Army’s Africa arm. A US Army press release quotes a Massachusetts National Guard sergeant as expressing hope that his unit’s partnership with KDF will continue in the future. A US State Department spokesperson meanwhile confirmed in an email message on Tuesday that the Kenyan government plans to cover the entire $418 million cost of up to 12 converted agricultural aircraft and two trainer planes along with associated weaponry. Transfers of military hardware to developing countries are sometimes subsidised by the US government through its Foreign Military Sales programme. But that is not happening in the case of the Air Tractor deal. The US Congress must review the pending sale within 30 days in accordance with Foreign Military Sales stipulations, the State Department spokesperson noted. “Once the Congressional review period has been completed, the United States and the partner nation meet to finalise the sale, and settle on the final price and delivery details,” the State Department source added. The single-engine aircraft uses “precision munitions” and offers “cost-effective logistics and maintenance,” the US agency said. The Air Tractor will supplement Kenya’s “aging F-5 aircraft as it will be more fiscally efficient and able to be pre-positioned much closer to the conflict area than the F-5 fleet,” the announcement added.